I first posted this on my old blog, but it got such a positive response I thought I'd post it again. It's the "original" fiction based on games. From the sun bleached stone tower of Henge Hold Lord Commander Stryker and General Nemo stared across the sea at Garlast Island. The earth seemed to be on fire as the setting sun reflected countless hues of orange off of the incoming tide. So the results are in and color me a bit surprised, did I know who you'd vote for at the bottom... yes. Did I think the responses would be so overwhelming... not a chance. The biggest surprise to me though was who was at the bottom with pDoomy and how far apart the bottom two were from the rest. 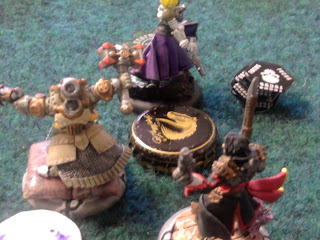 Some more pics from one of our painters, I especially like the customization on the bases. Skywise's Guide to the Merc Life: Bounty Hunters! Dannon & Bull take down a Legion Forsaken. Q: Are Dannon & Bull worth their point cost? - A: No, not really. At a whooping 4 points for a character unit, that puts you in the same range as Aiyana & Holt, the Black 13th, Min. Steelheads, Min Kriel Warriors, almost any 2 Merc solos, etc. All of the mentioned are better values for the points. Hey there folks. I'm Grimsnik and I just started writing for Trollblood Scrum. Competitive Caster, we shall see? Recently I have been pondering the quality of Trollblood casters. While persuing the PP forums and other places on the net it has become apparent to me that my version of our best casters are skewed more than slightly from the vocal majority on the net. So it's simple, I give you a poll, you tell us which casters are the least competitive and we pit them in battle against each other on vassal for all to see. The game will be well documented and pasted all over the blog. The glory and humiliation of the players will be great, hopefully revenge against Goris can be had for taking Gunny out of action the other night. But we shall see. Who knows, there might even be prized for those that can properly guess the outcome of the battle. Hello all you Scrummers. I am here to talk about a real problem that affects quite a few people in the WarmaHordes community... Faction ADD. Before I get to that though I should introduce myself. I have been playing Hordes since October of 2008. I started with Circle and those conniving druids held my full attention for 2 full years. Then I got the itch for something different. I wholeheartedly dove into Trollbloods last November and they scratched that itch for about four months before I was blighted and joined the Legion of Everblight. Soon after my blighting I heard the call of Menoth and decided that I needed a Warmachine faction. For those of you keeping a tally that means I play the factions of the three major gods in the IK; The Devourer, Dhunia, and Menoth. In my fourth faction they are trying to kill gods while Thagrosh is quickly ascending to godhood. This probably says something about me but I'm not sure what. Borka stared long and hard at the Captain sitting across the table from him. He had never been fond of Cygnarrans especially those that were a part of the Cygnar military, but Calandra had sent word ahead and that had kept him from attacking the Captain outright. Borka continued to size him up trying to decide if this so called 'ex' Trencher was worthy to be considered as kith or kriel. Gunnbjorn was big for a Troll if a bit lanky, with a jaw chiseled right out of stone, that and his eyes showed intensity and intelligence he could only find among the leaders of Madrak's new united Kriel. All that and the cannon he carried looked like it should be mounted as an artillery peice instead of being toted about like a Pyg Rifle. As they drank Borka also had to aknowledge that he could hold his own having consumed nearly a whole keg of whelp ale and still not yet wavering. Unlike myself a few of our new author's are very accomplished painters. To the point where they can do very high quality paint jobs very quickly. Yes I know, we hate them for it. So for those of you who are very very similar to myself and are willing to donate their hard earned monies in exchange for a high quality paint job, then our boys Sid and Skywise are your Huckleberry. Both Sid and Skywise have been on the painting end of a large handful of my own models and they are happy to do the same for any of you. 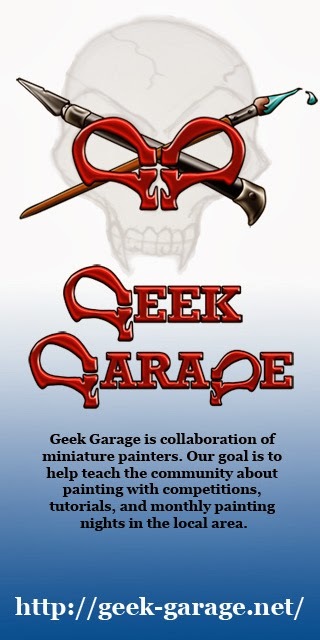 So go check them out over at our painting page Sid's Painting Service . This month I have been very busy with project given to me by people who want something cool! This time I have been commissioned to paint the Trollblood Kiltlifter. it is a very beautiful model, and I wish there were rules for these guys. I know I'm excited for this guy. 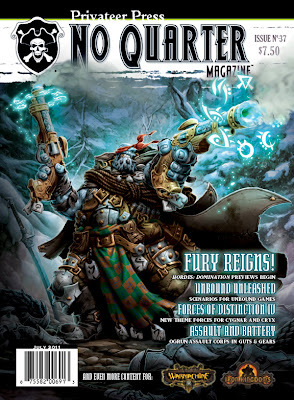 Looks like NQ37 is a must buy for the Trollblood enthusiast. Hello there Scrummers! This is phreaker187 from the Privateer Press forums and also formerly known as Cygnarbrian from the now defunkt blog, Haley Casts TB... You Lose. 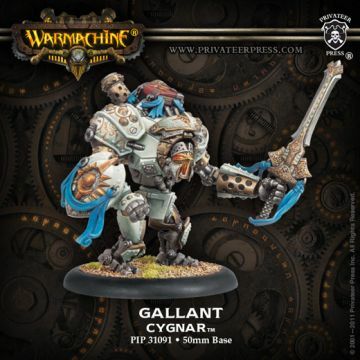 I play Cygnar and that's pretty much it. I have played every caster and have both won and lost many games with each. Given my experience I feel I can hand out first hand knowledge about what works and what doesn't in the land of the swan. I might even throw in a few strats on how to beat up on Cynar with Trolls, but don't count on it. Skywise's Guide to the Merc Life: Greetings!! Hello Scrummers!! Allow me to introduce myself. I'm Skywise (same name on the PP forums) and I have been asked to be the Mercenary correspondent for Trollblood Scrum!! I will be writing articles on Mercenary tactics such as how to run Mercenaries in your existing armies (Yes, Trollbloods have access to a few Merc models! 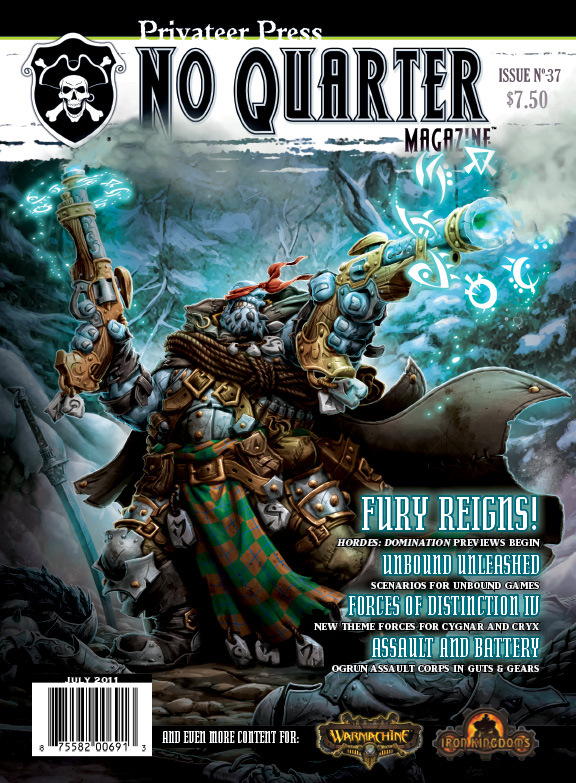 ), how to play Mercenary armies, and giving advice on how to counter Mercenary armies using Trollbloods. I also plan to write a few Quick and Dirty Painting articles to help players get painted models on the table in no time flat! In addition to the painting articles, I pan on helping Sid part time with his painting service!